Before marketers were scrambling to decode the needs and desires of the gigantic millennial audience, there were baby boomers. And as the boomers aged, their influence remained. In fact, AARP The Magazine (ATM) announced yesterday that it’s increased its readership. Substantially. A spring survey released by market research firm GfK MRI showed that ATM has gained 479,000 readers younger than 60 over the past six months. With an audience of 38.6 million readers in the 50+ category, ATM has the largest audience of any magazine in the country. In fact, ATM has 2.7 million more readers than People, 8.3 million more than National Geographic and 23.5 million more than Southern Living, according to the MRI data. The magazine’s rise to No. 1 happened over the past decade, as its readership increased by 4.4 million, while other titles lost readership. The bimonthly publishes three versions for specific demographics, those 50 to 59, 60 to 69 and those 70+. It has been published since AARP’s founding in 1958. With ATM showing such numbers, it isn’t surprising that other publishers would begin to cater to this underserved but very engaged audience. 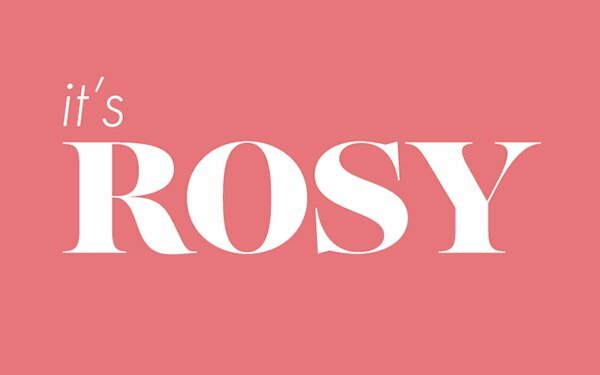 Earlier this year, Livingly Media, home to motherhood site Mabel + Moxie and celebrity style trend site Stylebistro, among others, launched It’s Rosy, a publication dedicated to the lives of boomer women. “Generally with more wealth, women are discovering new interests and pursuing new hobbies. It's a rich and empowering time, and we found few brands celebrating this demo in a way that inspired us,” she added. As the group began to engage in market research, it found some surprising statistics in its desire to monetize this audience. On average, women aged 55-64 are making more and spending more than millennial women 25-34, yet only 5% to 10% of ad dollars are targeted to women 50+. Since launching, It’s Rosy has “monetized relative to our other brands,” said Carter. This has also meant targeting its audience where it consumes its content. In the case of boomers, that meant desktop rather than mobile devices and Facebook. According to Carter, traffic has been increasing steadily, and she’s confident the publication will hit its July goal of 1 million monthly visitors. Those readers the website has attracted are extremely engaged. Its interaction rate on Facebook is four times that of the company’s next most active site and readers consistently spend three to four minutes on site. Though the team was uncertain about the site’s monetization prospects at the project’s birth, less than two weeks after its launch, It’s Rosy’s ad rates hit parity with most of the companies' legacy brands. So far in June, It’s Rosy has the second-highest ad rate in Livingly’s portfolio of six sites. 1 comment about "'AARP Magazine' Shows 'Rosy' Power Of Boomer Audience". Jonathan David from Tapstone, June 20, 2018 at 4:20 p.m. I'm not surprised to hear that the ad rates for this new 'Baby Boomer' targeted site quickly ramped up. At Tapstone we work with numerous clients that are targeting older audiences and are excited to find avenues that reach them so specifically. At Tapstone we've found, perhaps unexpectedly, that Baby Boomers really respond positively to digital advertising, particularly the Native format which we specialize in.